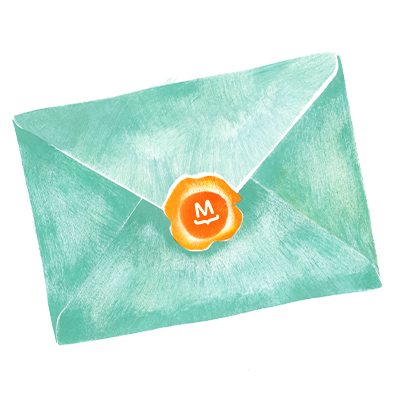 In this post, we’re going to discuss simplifying your emails to their core parts. 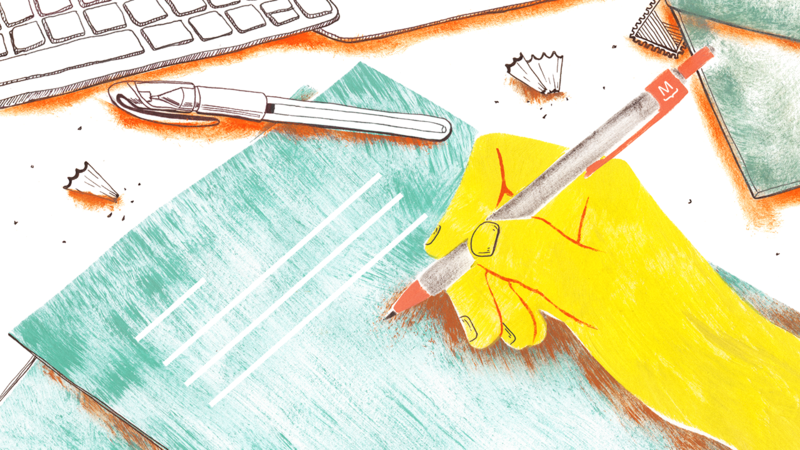 We’ve talked before about the importance of keeping your content concise. But in this post, we’ll talk about keeping the design of the email itself as simple as possible. While beautifully designed email templates do have their place (and look oh-so-pretty in a designer’s portfolio), there’s nothing quite like the power of a text-based email. What is a Simple Text Email? 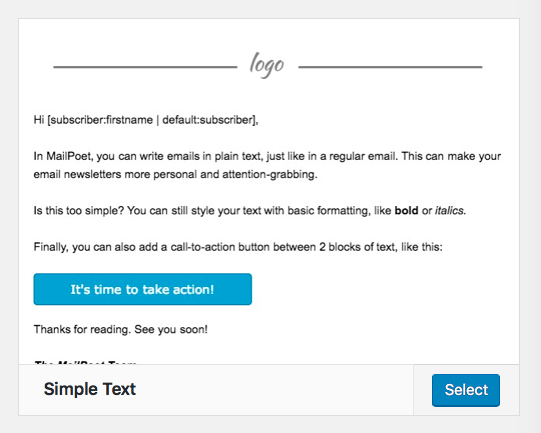 A simple text email, put simply, is just an email with little-or-no HTML. That means few or no images, no rich-text formatting, very few embedded links or Calls-to-Action, and so on. Simple text emails are essentially the digital equivalent to a plain, hand-written letter. Technically, a “plain text email” has zero HTML, period. However, in practice, this can be a little excessive. Most of the benefits of a plain text email can be gained by simply reducing the amount of HTML in the email, rather than removing it entirely. At this point, you may be wondering: why use Simple Text emails? They sound pretty…neutered. However, they are actually incredibly powerful. Let’s talk about why. The primary advantage of simple text emails is that they’re more personal. Indeed, in a world filled with flashing, fancy, corporate-speak emails, a plain text email is a welcome relief. Emailing your list should feel like emailing a friend. Ya know, the emails you actually read. Looking through my own inbox I have a few sales emails from big box stores, a reminder about my student loan payment (ugh), and an email from my sister with the subject: pie recipe. Guess which one I’m gonna read? Somewhere along the line, companies forgot how to talk like people. When you send a simple text email, it is essentially the same thing as sending an email directly from Gmail, Yahoo, or a similar email client. It simply feels more real. If your business depends on making a connection with your readers (and we bet it does!) avoiding an overly-designed email is extremely effective. These days, virtually every company sends long, complicated emails on a regular basis. It can get exhausting, even for us, a company that sends emails. You send your emails so that people will actually get them and read them. The more stuff you try and cram in with formatting, tables, and even a lot of images, the more likely it isn’t going to make it through to the inbox, or arrive the way you want it to. When in doubt, keep it simple. Your readers are probably just as busy as you. HTML-only emails are a no-go, according to spam filters. Indeed, not including a plain text version of an email is a strong sign that your email will go to spam. Why? Because most legitimate senders include it. HTML-only emails are a red flag for spam filters. A lazy spammer wouldn’t take time to create a plain-text alternative so make sure you do! Spam filters also don’t like emails that have a low text-to-image ratio. That is, if you have a ton of images but not very much text, you’re in trouble. However, the MailPoet doesn’t have these issues because we always send both versions to your subscribers. The plain text version isn’t visible unless you view the original code of the email. Even in 2018, it’s important to remember that not everyone has a super-fast Internet connection 24/7. Emails with images take longer to load, use more data, and generally just waste more time. This is especially true if you have five or more images in your email. Image-heavy newsletters can often be over 5MB in size. Contrarily, a simple text email is rarely over 50KB. Tip: Try using Octify to compress your images. It was built by Jack Kitterhing, a MailPoet team member :) Every kilobyte counts! Chances are, your readers will view your email on a mobile device. Images, fancy layouts, and other complex HTML editing typically don’t translate well to phones or tablets. Mobile matters. Industry reports show anywhere from 45% to 66% of emails are opened on mobile devices. On mobile, imagery is hard to see and tables and columns in emails don’t translate reliably. The only true way to get the same rendering of your email from device to device is to keep it text-based. In MailPoet, this isn’t a problem, as all of our templates are responsive and hand-crafted to look good on all devices. As such, you don’t need to worry about it. So, if you want to keep your email looking the same across all devices (and save yourself a ton of time, to boot) use MailPoet’s responsive templates. Otherwise, stick with simple text. Older email clients like Microsoft Outlook often have issues displaying images. Yep, even in 2018. For security reasons, many government and military organizations block HTML emails by default. If your audience includes such users, sticking to simple text is likely safer. Users with disabilities have a harder time reading emails that have a ton of images. This is often an issue with infographics and other information-rich images. If you absolutely must include images, always be sure to write detailed alternative (ALT) text. Of course, not everything is all roses. There are some definite disadvantages to using simple text emails. Your website is where you want them to go anyways. Use your emails to get your potential customers to your website. Once they’re there you can wow them with your images, engage them with your videos, and make them LOL with your GIFs. After all, it’s your website (or sales platform) that actually makes you money – why wouldn’t you want them to end up there anyways? Customers can’t buy a product directly in your email – they need to visit your website. As such, your main goal should be getting them there! It’s 2018 and most corporate emails are well-designed, full of images, and use the latest email marketing technology and techniques. Unfortunately, this means that a simple text email can seem “outdated” for lack of a better word. There is really no avoiding this – however, it can actually end up being a good thing. Customers don’t expect businesses to send simple, friendly emails, so when you avoid using an image-heavy, polished email template, you actually stand out. By default, a simple text email lacks color, design, and other brand-heavy elements. If your brand relies on strong colors, big images, and other designed elements, you may have some issues with simple text. 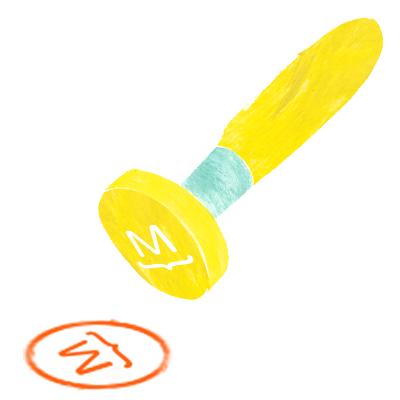 You can avoid this issue by including a small image of your logo at the top of this email. This way, your brand is still present and communicated. 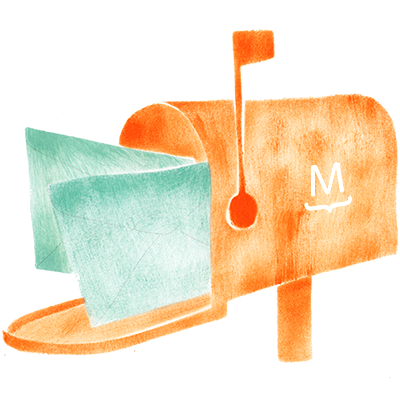 Sending simple text emails in MailPoet is super-easy. Simply choose the Simple Text template on the Select a responsive template page. This is a good compromise. Since we only have one item with color (our CTA button) it’s much more likely to be clicked on! Of course, our font choice and overall style are design choices, intended to highlight the “plain text” nature. You can still send simple text emails and use regular fonts. Make sure your writing is perfect. 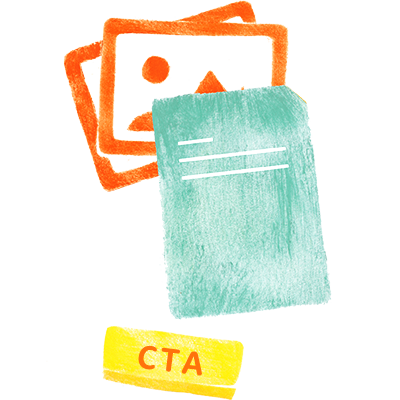 In simple text emails, there aren’t any fancy images to distract readers from the content. If your content is sub-par and you rely on flashy images, you’re in trouble. Emojis are considered text, not images, so feel free to use them. Check out our guide for adding emojis via keyboard shortcodes. Don’t paste your link directly in your emails: https://www.yahoo.com. Add your links to text, like this: Visit Yahoo. Keep paragraphs short to optimize for readability. Vertical whitespace is important! Likewise, be creative with how you separate content. Since you can’t divide content with images, try ordered lists (OL) or unordered lists (UL) instead. Hopefully, this post was simple enough to be actionable and useful. What has your experience been with simple text emails? Positive or negative? Let us know in the comments! Great to see you’re finally arriving at the right conclusion as to what *email* is. 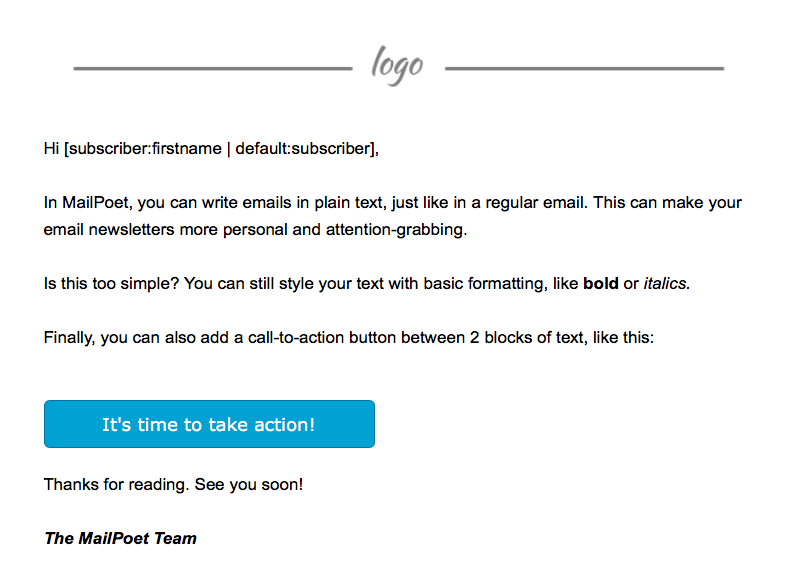 But: How do I finally send real plain-text *only* emails with MailPoet? Also, I think your advice „Don’t paste your link directly in your emails“ is bad (and of course not working in plain-text only emails): It is much better to see the URL you are going to than see some text without knowing where a link sends you to. Ever seen those „Login to your Amazon account“ links in a „Your Amazon Account is about to expire“ emails whose href URL actually is http://fishing.amazon-account-login.ru? Sure, plain-text email will lose you all the tracking possibilities. But maybe it helps all of us to concentrate on content and on our goal of informing our subscribers, instead of just spamming and measuring campaigns on them. Thanks for your feedback Kris. > But: How do I finally send real plain-text *only* emails with MailPoet? You can’t and we won’t implement it. 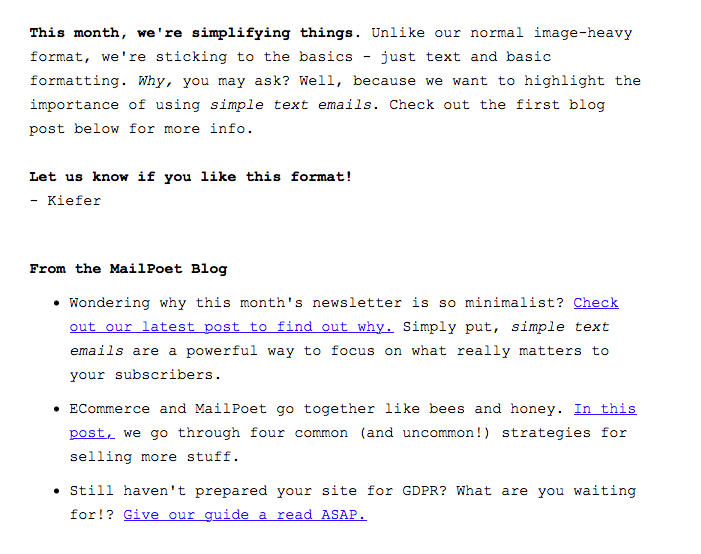 MailPoet’s value is inherently in rich format emails. All the while, you can still send emails that look like simple text, with complete raw URLs too. At least, you have the choice of how to write your emails. Speaking of phishing, we’re slowly going to implement new measures to ensure that our own MailPoet Sending Service isn’t used for this dubious purpose. More to come soon on this in the next couple of months. Sometimes we forget the competitors. You can learn a lot from his designs. And also, look at your competitors, and see how many emails they send in a week. Also check their return-on-investment, and consider learning from them. However, do not blatantly copy their strategy. They may be sending more emails because they have a huge number of subscribers or because they have a specific goal. Your strategy should be customized for your needs.